Over the past few years, people have been raving about the Mayan end of the world, said to be December 12, 2012. The subject sparked controversy and a lot of people claimed the world won’t end just because the Mayan calendar did. Now, skeptics have hard evidence to support their theory, given that a new Mayan calendar was found. In the ruins of one of the last unexcavated Maya megacity, researchers stumbled upon a finding that will spark controversy without a doubt. 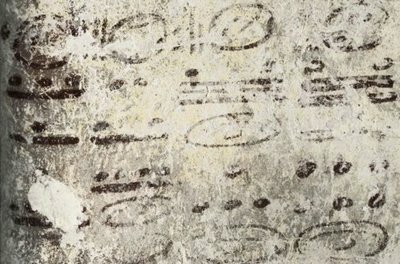 On the north wall of a Mayan house in the unexcavated megacity, archaeologists found hieroglyphs in black and red and a mural of a royal court and king. At a close study, archaeologists identified a new Mayan calendar, quite possible the oldest one either. According to the researchers, it looks like the oldest Mayan calendar goes another 7,000 years into the future. The discovery was made by students who later found out they stumbled upon the workroom of an ancient Maya scribe. Ph. D. student Franco Rossi told National Geographic: “Undoubtedly this type of room exists at every Maya site in the Late Classic and probably earlier, but it’s our only example thus far”. The walls in the room contained the red and black hieroglyphs which contained elaborate calculations and “fixed tabulations that they can then refer to – tables more or less like those in the back of your chemistry book”. Researchers identified a lunar table, a “ring number”, “a sequence of numbered intervals corresponding to key calendrical and planetary cycles”. And on the east wall researchers indentified a calendar, made of small and quite complex hieroglyphics. Archaeologist David Stuart said “there was a lot more to the Maya calendar than just 13 baktuns”, the end of the cycle set to happen December 12, 2012. David Stuart worked deciphering the hieroglyphs. He said: “The Mayan calendar is going to keep going for billions, trillions, octillions of years into the future. Numbers we can’t even wrap our heads around”. So I guess this means I have to go Christmas shopping this year. So I guess my “End of the World Party” won’t have the same effect. nice to kniw that the worlds is not goeng to end.thanks to the founders of this new and only calanders.may allah bless all of us with his reham-o-karam……..aameen…………..! who is going to eat all of this canned goods? The end of the world was suppose to happen on December 21, 2012 … not the 12th. Now I find it a bit crazy that we are to place more weight in the older calendar. That would be like a future generation finding a medical publication from 2012 then finding one from 1850 and saying the old one must be the correct version because it was published first. Oh they just so happen to find this close to the first lie ending to try and cover the false religion.all religion is false just to guide you in thier way its just why lie about it to my kids.keep your beliefs to yourself you wouldn’t want some strangers ways to be your kids ways.relize this is your life you only get one. You would think that a ph.d student would not make a mistake on the date like that. scripture teaches us that the opinion of the time suggests that in the doom and gloom of end of time there is hope that the infestation of human activity on this planet will be dealt a series of serious blows that happen on a cyclic pattern. the human condition is to confuse those who don’t know and to put doubt in those who think they know. why are these time lines so elaborate? why not make things easy or is that just a ruse to throw interest out. if i had a message for the future i would want everyone to understand my intention. just like that! Wow, hows that for timing? No., the world is not coming to an end. There’s gonna be some kinda big revealing or awakening at or after. 12-12-2012 . So. Rejoice or in your case, repent! I like to point out that it’s December 21st, 2012 when the Mayan calendar is said to end not December 12th, 2012. Very close though. December 12th, 2012 is just a fun date 12.12.12. but it doesn’t have much of anything to do with the Mayans. The date was set at 12/21/2012 for the end of age so the person who posted this didn’t do much research. Not that I believe regardless someone posting on behalf of the world ending or not should have their facts straight.